Is this how the new MOTO RAZR will look like? Home Mobiles Is this how the new MOTO RAZR will look like? Today, a concept video of the Motorola Moto RAZR has been publicised online. The video clip shows the opening and closing of the Moto RAZR. Also, there are several colours schemes the author of this video has come up with. There are few UI solution shown too. Plus, there is a solution suggested like the notifications handling on the outer screen. In the video, we also see that the screen of the smartphone can be folded with almost no radius. 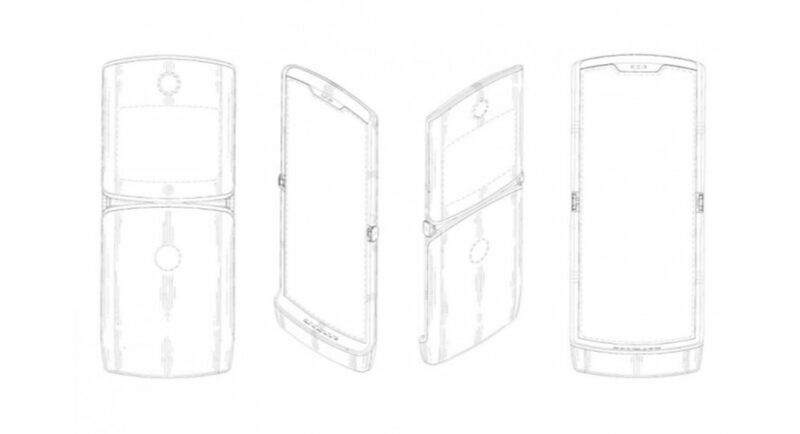 It is expected that the Motorola Moto RAZR will have a small gap between two folded halves. There is no certainty if the phone will launch in 2019 or not. If the phone does launch this in 2019, and so, might be called Motorola Moto RAZR 2019. The smartphone is expected to come at a price of $1,500, that is roughly Rs 1,04,500. To recall, there was a patent filing of this device a month back. The smartphone will sport a foldable OLED display embedded in it. From that patent, we also got to know that the smartphone has two cameras and a secondary, smaller display like the original Motorola RAZR V3. According to reports, the smartphone is going to launch on Verizon first in a limited quantity. Looking back a few days ago, some more image renders were showcased. The art shows that the smartphone is nicely functional and has an awesome looking design. To recall, the Motorola RAZR V3 is a very old phone that was first launched back in 2004. It comes with a 2.2-inch 176×220 display and comes with a very small battery of 680mAh. The mobile phone came in two colour options—silver and black. Messaging options include SMS, EMS, MMS Email and instant messaging. Motorola then also launched a candybar styled RAZR which was super slim. If this phone comes to life soon, we are sure there will be many loyalists who would want to get their hands on it.